Content: Target Records introduces us to the rock-pop universe of the Copenhagen based Mother Empire. The formation has been presented as a mix of 80s influences of the British new-wave pop and American alternative rock bands. Quite quickly, the band reminds me of Editors. There’s a similar mix of electronics and pop music with guitar passages on top. The charismatic vocals of Morten Jaeger also remind me a little bit of Editors as well. 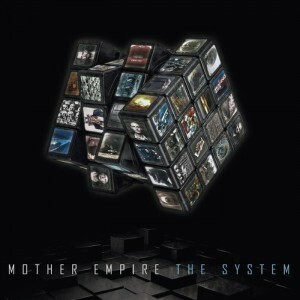 “The System” rapidly appears to be an album with many little influences, but the songs remain always carried by a solid rock-pop basis. The somewhat moody sounding “Worthless” is an interesting illustration of their sound. The work is enjoyable although I had to wait for the 6th song “Hands”, to reveal the hidden potential of Mother Empire. This is a beautiful and fully accomplished composition made of brilliant electronic parts and guitar empowering the song. It’s a pity there are no more songs in a similar vein. “The system” however reveals a few more interesting cuts, but in a somewhat softer approach. “And We Celebrate” is a noticeable and somewhat moody-like song, which sounds a bit into a kind of rock-ballad style. “A Perfect Crime” is another cut I recommend for its beautiful and elevating chorus. Conclusion: I can’t say that the entire album is catching my attention, but there are a few remarkable songs featured at this debut album. 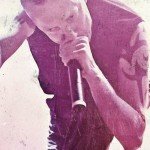 Mother Empire has interesting writing skills and musical ideas they now have to elaborate. Best songs: “Hands”, “And we Celebrate”, “A Perfect Crime”, “Worthless”.